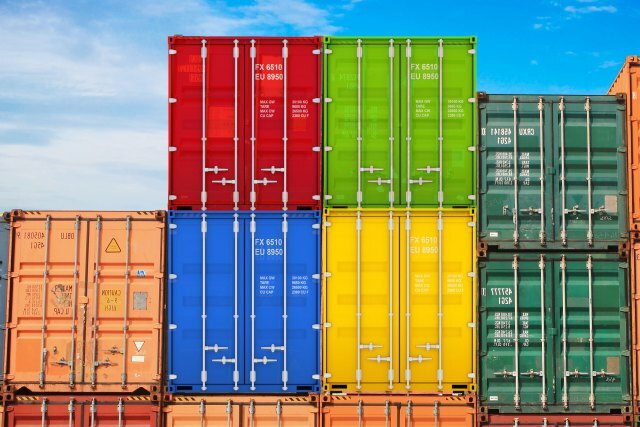 I knew Microsoft’s cloud solution, Azure, supported Docker – but how well? It felt a little strange that Microsoft were embracing Docker so rapidly with Docker being built on Linux. This post is my first foray into trying to run Magento in a Docker image on Microsoft Azure. While I had a couple of speed bumps to work through (and a few cups of coffee waiting at times for things to compile/download), I must say I was pleasantly surprised with the tools. I always knew Amazon Web Services (AWS) was #1, but I had not realized how popular Azure had become. Bloomberg’s Businessweek.com (http://www.businessweek.com/articles/2014-12-11/microsofts-azure-is-closing-the-gap-with-amazons-cloud-servIce) reports that Microsoft is closing the gap, with their market share estimate increasing from 7% to 10% with AWS decreasing from 28% to 27%. Sure, that is still a big gap, but it had not registered that Azure was in second position. Location/Affinity Group – pick where you want the storage to be located. Subscription – I created storage with “Free Trial” as the choice. Replication – talks about which replication strategy you want in place. I picked Geo-redundant. I had never used Azure before so the first thing I did was a few Google searches of “Azure” and “Docker”. I quickly located a Cross Platform Command Line Interface (CLI) for talking to Azure nodes. I used the Windows installer described on the page. The end result is ‘azure‘ is a new command I can run in my Windows environment from a command prompt. The command line utility is written using Node.js. I will say on my laptop the start up overhead per command is definitely noticeable. It’s a few seconds to even print a hello world message. But it worked pretty well. To work out all the command line options you can type azure help. First thing I recommend doing is getting the authentication via certificates going. Azure makes this pretty easy. The command brings up a web page with instructions. It was pretty easy to save to local disk the ‘publishSettings’ file and then import it. > azure account import "Pay-As-You-Go-Free Trial-12-14-2014-credentials.publishsettings"
Once set up, it is easy to run azure commands from a command prompt without having to enter a username or password each time. I had the azure command working – the next job was to create a VM to host Docker on. To do this, you need to select which image to use. Microsoft Open Technologies has a useful article describing how to best do this. Basically, request a list of all images then pipe it through grep to reduce the output. I chose to go with Ubuntu 14.04. You might notice that the VM does not contain ‘Docker’ in the name. If I understand correctly this is because Azure can add Docker to an OS image afterwards. This reduces the list of images required (you don’t need variations of the same base OS with and without Docker installed). To create a new VM for hosting Docker images use the azure vm docker create command. So the above image is a standard Ubuntu image, to which Docker is added as a result of the ‘docker’ modifier. Here is the full command I used to create the new VM. I exposed the SSH port (22) so I could log in, and supplied my account name (akent) and password. These can be entered interactively instead of on the command line. warn:    --vm-size has not been specified. Defaulting to "Small". I managed to log on to the VM directly (but soon discovered that it generally was not needed). I run Windows on my laptop. As such I cannot run Docker containers on my laptop directly without using some form of virtualization software (like VirtualBox). However, I can develop and run a Magento site natively on my laptop then build a Docker image on my laptop. This is because Microsoft has contributed to the project with code allowing the Docker ‘build’ phase to be run natively on Windows. To do this however I had to compile up the Docker executable myself. First step is to install Go (a programming language from Google). For windows I went to http://golang.org/dl/ and picked the MSI file from the list. Next I used the following commands to compile up Docker based on https://ahmetalpbalkan.com/blog/compiling-docker-cli-on-windows/. I discovered the hard way it is important to use the directory names exactly as below. remote: Counting objects: 65807, done. remote: Compressing objects: 100% (42/42), done. Receiving objects: 100% (65807/65807), 36.62 MiB | 449.00 KiB/s, done. Resolving deltas: 100% (43251/43251), done. Checking out files: 100% (1582/1582), done. The end result is a docker.exe executable. You may wish to ensure this executable is in your path. Before starting up MySQL and Magento containers, lets consider a simple “Hello World” example. First, review what containers as loading. The Docker ‘ps -a’ command is how to see what is already running on the Azure VM. To connect to the remote host I used the -H command line option in conjunction with –tls. Initially there will be no containers created. As well you can check what images are available locally. Initially for a fresh install no images will be available locally. Again, initially there are not images available. The run the Busybox image, supplying a command of /bin/echo hi, use the following command. This will automatically cause it to be downloaded. If all is working proceed to the following steps to start up a MySQL container and a Magento web application container on the Azure cloud. The following describes one way to create a new MySQL database instance. This will run in a separate container to the Magento web server application. As always, the -H and –tls command line options are used when connecting to a remote installation. If you ran the commands above you would see the busybox image is now available locally. To start up the container, port 3306 needs to be opened up for access outside the MySQL instance in the VM. The first time you run command it will download the MySQL image for use. Once up and running, you can inspect the log files of the container. 2014-12-15 06:41:16 0 [Warning] TIMESTAMP with implicit DEFAULT value is deprecated. Please use --explicit_defaults_for_timestamp server option (see documentation for more details). 2014-12-15 06:41:37 1 [Note] Execution of init_file '/tmp/mysql-first-time.sql' started. 2014-12-15 06:41:37 1 [Note] Execution of init_file '/tmp/mysql-first-time.sql' ended. 2014-12-15 06:41:37 1 [Note] mysqld: ready for connections. Now we have a MySQL container up and running, we next need a Magento web server instance which will reference the MySQL instance. My first attempt to connect to the web server on port 80 failed. The vm endpoint list command shows what ports each container has exposed outside of the container. Keeping this list of ports to a minimum reduces the risk of break-in for your store. The above may seem lengthy, but a lot of it relates to installing and configuring Azure. Once set up there are only a small number of commands that are required. This can all be run from the command line on a Windows or Linux desktop or laptop. Building container images to deploy is more complicated, but also possible from the Windows and Linux command lines now that the Docker executable (docker.exe) is available on both Windows and Linux. What this means is the development of a Docker container can be easily conducted on a laptop/desktop and pushed to Azure via command line commands. You don’t have to jump between environments. This makes automation straightforward as required. It took me a little bit to get the tools working – mainly because I did not follow the instructions exactly the first time. When I went back and followed them more carefully things went much better. The end result however was with some relatively simple commands I could create a new VM and deploy a number of containers to the VM all from my laptop (I did not have to log on to the remote server due to the -H and –tls command line options of the Docker executable). The fact that it was so easy to get a VM up with Docker support, with appropriate authentication and certificates automatically deployed, impressed me. It felt pretty slick. There is another aspect to all this however. Azure has suffered a few outages recently. I must admit I am not overly concerned by that. I am sure Microsoft are looking into it, and one of the main reasons I personally like Docker is it’s portability. If your hosting partner is not doing a good enough job, moving to a new hosting partner is much easier with Docker. The Docker images I used in this article have zero knowledge of Azure – the same image will happily run on Rackspace for example. Tools in the Docker space are continuing to evolve. It would be great if more hosting partners make tools like Azure available where you can spin up a new Docker VM easily, then be able to push images to that VM all via relatively simple commands. Once in place, I think the norm for even small sites will have developers build and test a site on their laptop, then easily push the result to production in a hosted environment with confidence. The better Magento hosting partners will provide all the surrounding services (Varnish, Redis, database, and so on) allowing developers to focus on their site. This becomes particularly attractive to developers if the connections between services can be standardized. The above is not a complete guide to Azure. But if you like Docker I do think its worth giving Azure a bit of a look. It was better than I anticipated. Thanks for this nice post, it was very helpful! 2. my “azure” command only works from an administrator command-prompt, not a standard one. copy all “*.pem” files from the “C:\Users\myname.mydomain\.docker” map to the “.docker” map on the machine that hosts the docker client.